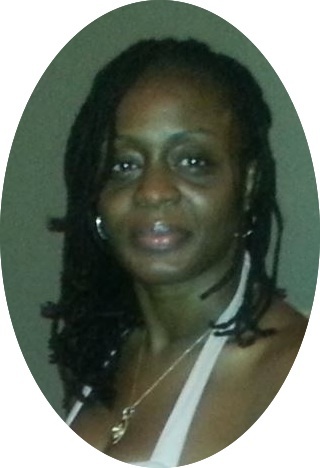 Today I welcome a guest author, Janice G Ross who has honoured us with an article entitled Going through the Motions. Everyone goes a little crazy sometimes – wouldn’t you agree? Please don’t have me committed if you’re not feeling my assessment, but just give it a chance. I recall when I was in middle, or maybe high school class. There was a quite kid. He was a loner of sorts; didn’t really talk to too many people. Not really someone that you would typically remember from so many years ago – 20+ years to be exact. He was fairly tall, and I believe he wore coke-bottle glasses. I don’t even remember his name – not even the initials. Sad. Yet, I think about this guy on a regular basis, especially since I’ve gotten back in touch with my artistic side. Why? What was so interesting about this fella? Why do I relive the past, for no apparent reason? Well, this seemingly unremarkable young guy had a routine. You see, I believe we might’ve had several classes together and in each class he had a regular habit. At any given time, he would stop whatever he was doing and fall into an artistic trance of sorts. He’d mumble to himself, “I’m going through the motions… I’m going through the motions…” He’d repeat this mantra continuously, for I don’t know how long. The teachers never said anything to him, or about it. After the first couple of times, I giggled. Needless to say, I was not the only one. I don’t believe anyone ever tried to pick on him, probably because we were in shock. Mr. Motions, I’ll call him, was having a moment. Whether it was drawing, writing or just simply doodling; whenever he felt that moment come on, he’d halt and take advantage of it. I look back on that now and marvel at Mr. Motions. At a young age, he was severely connected with his creative side and took advantage of the moment. Thinking back, I marvel at his freedom and comfort. I wish that I had known better, during those moments. I would’ve probably spoken to him and tried to get into his mind – I’m good for that now. You see, I restricted my creative times to when I was at home and out of sight. At this point in my life, I rely on his example because there might never be a perfect time to get in touch with my creative side. Moreover, when inspiration signals, what are we to do – tell it that we’re too busy or too ashamed to let it flow? There are many ways to value what we have inside of us. It is so important to never try to stifle or sideline our gifts. Be open to your abilities. Doodle whenever you need to. Draw at an unlikely place. Write on the back of you hands if need be. However you chose to do it, please-please-please, find a way to go through the motions. She enjoys writing about social issues and personal experiences. Janice’s debut release was entitled Damaged Girls. She uses the three books in that series to detail the effects of different forms of abuse, discussing issues that are known to be taboo. Her next release, Jumping Ship, is a dedication to her country of birth and an introductory novella to the Island Hopping Series – due out in 2014. It’s poised to be a colorful and emotional experience of life, love and family. As of present, she is also a contributor to a short story collection – Just Between Us, Inspiring Stories by Women. And lastly, Loving Nate is a novella about the realities of losing one’s self to love. Janice enjoys reading. And is drawn to stories with distinct characters that she can love or hate, characters she can form alliances with, or characters that she can swear off and despise. She is also weak for a good cultural tale, preferably in the form of historical fiction. Janice loves to be taken off guard by clever language and settings. Loving Nate is Leah’s story of falling in love with Mr. Perfect. Leah falls fast and hard, losing all sense of reasoning. Love can do that to a gal, especially when the guy is as smooth as Nathan Moore. 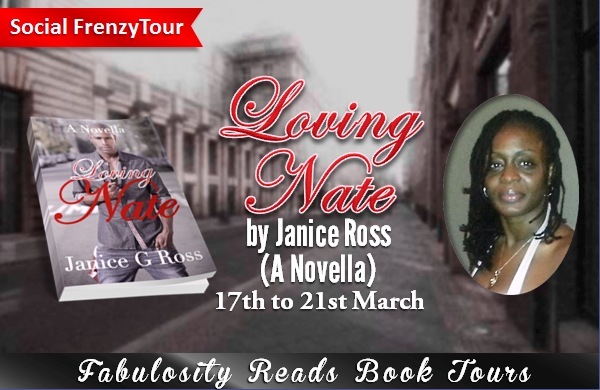 Loving Nate is about Leah’s journey of falling in love, when she should have been standing in love. Janice decided to provide two very different endings to this novella. Have you ever made a decision and wondered whether or not it was the right choice? Or perhaps you made the right choice because you knew that the alternative would’ve been disastrous? This is her gift to readers. Regardless of Leah’s final choice, shewanted readers to be able to reflect on the possibilities. Mmhhh. i think i’m trying to find my motions….they seem to encampass a lot of different things…none of which i have really set my mind to doing something about though i make promises. I have to make the time. Thank you for this Giselle. you are wonderful for chipping in like this.